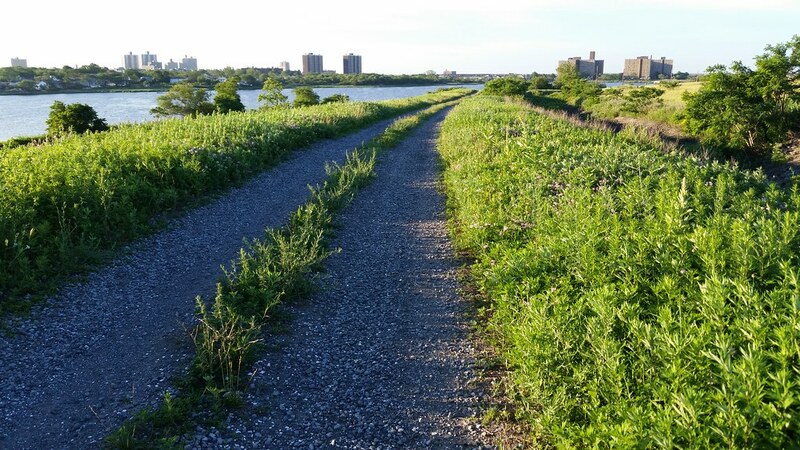 This pathway in Rockaway Community Park leads up to the piers we'll see in the next post. 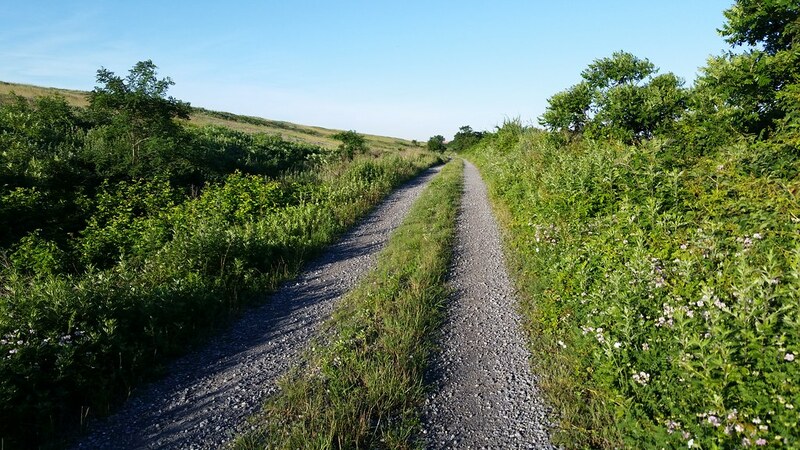 After the Edgemere Landfill was closed in 1991, some 700,000 cubic yards of topsoil were needed to cap the landfill. At the urging of community leaders, the city agreed to bring in the soil by barge instead of truck. These mirror-image piers (aerial views: 1996 and now) were constructed around 1995 as part of a conveyor system used in unloading the barges. 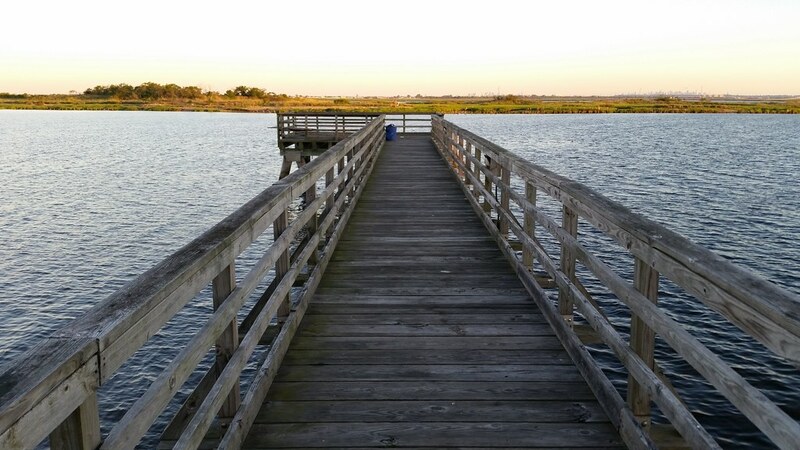 Once the piers were no longer needed for that purpose, the city converted them into fishing platforms in what is now Rockaway Community Park. If you gaze into the distance (zoom in), you can see the skylines of Lower and Midtown Manhattan. The Edgemere Landfill closed in 1991 and was capped by 1997 or so. 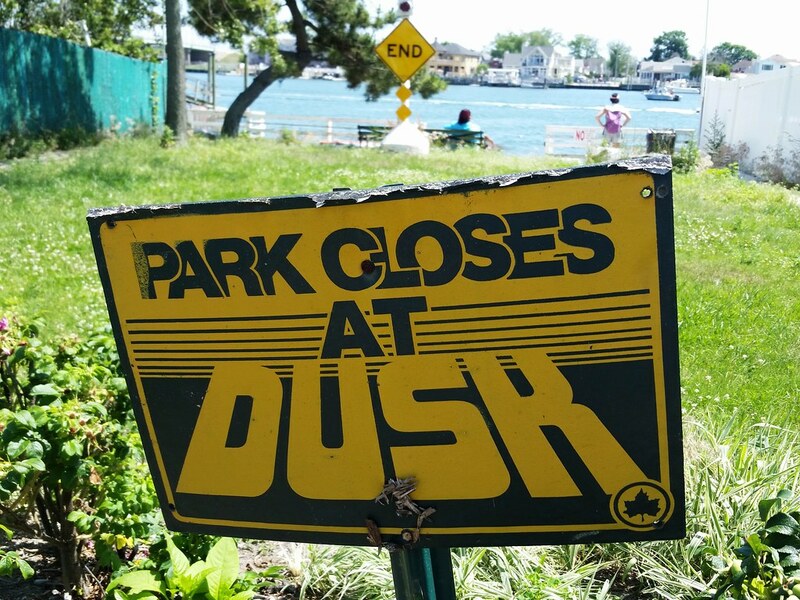 It's now part of Rockaway Community Park but is still not open to the public. 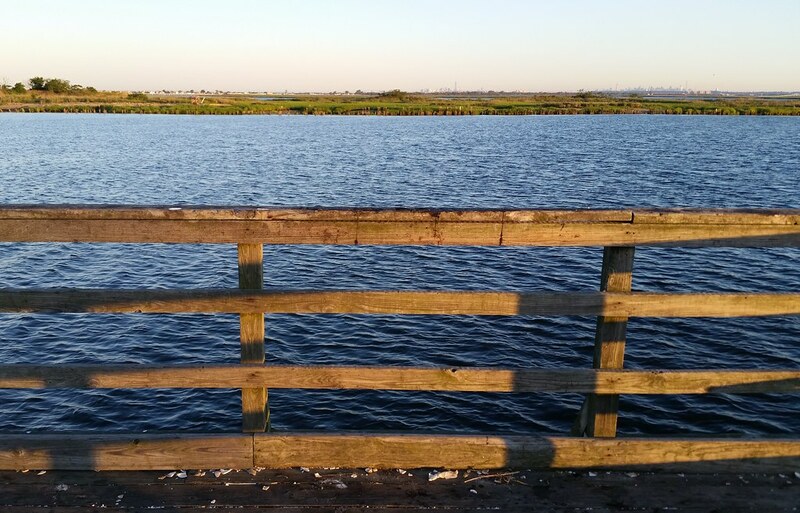 It's a surprisingly beautiful place and, with a peak elevation of about 70 feet, offers commanding views of Jamaica Bay and the surrounding low-lying areas. This shot is looking toward JFK Airport; you can see the air traffic control tower and a jet coming in to land (zoom in). 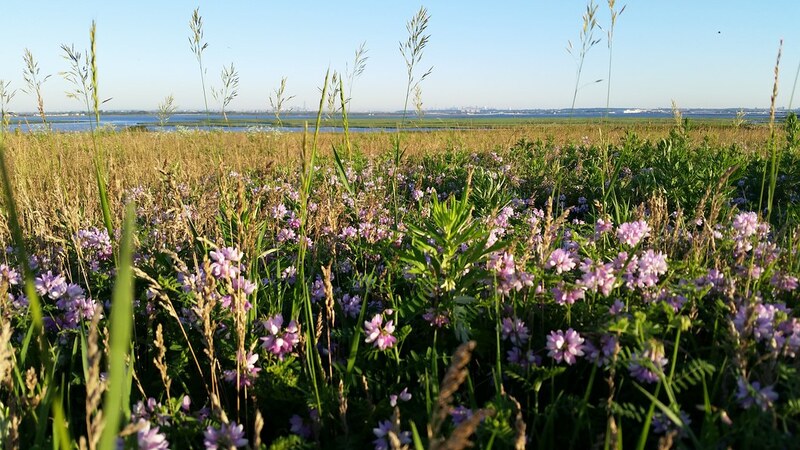 The pink and white flowers are crownvetch. 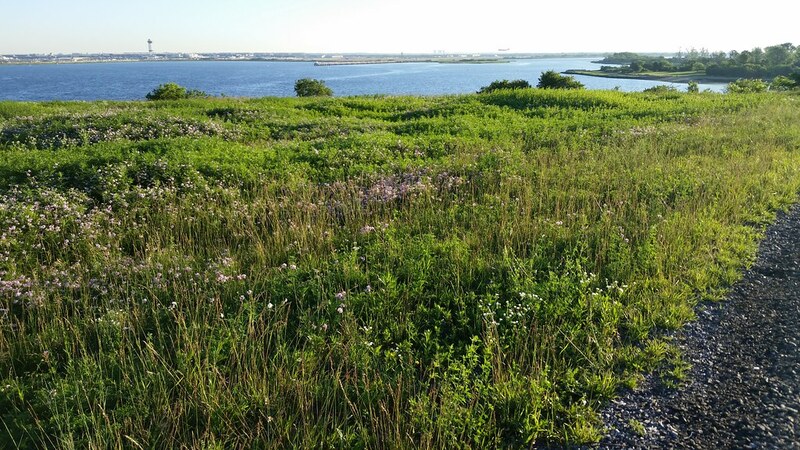 I assumed they were wildflowers, but perhaps they were planted intentionally here on the old Edgemere Landfill, as crownvetch is considered "a useful but overused erosion control plant. 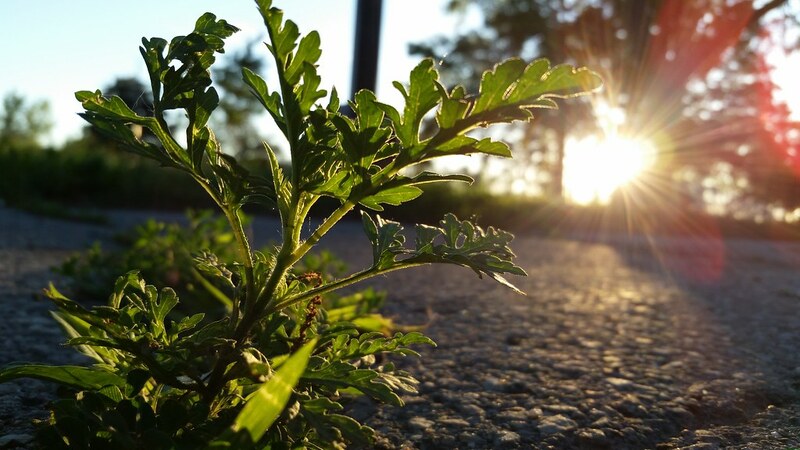 Its spreading growth habit, and strong root system provide soil holding ability and ground cover." Crownvetch was apparently widely seeded in Appalachian coal country to help revegetate abandoned mine sites. 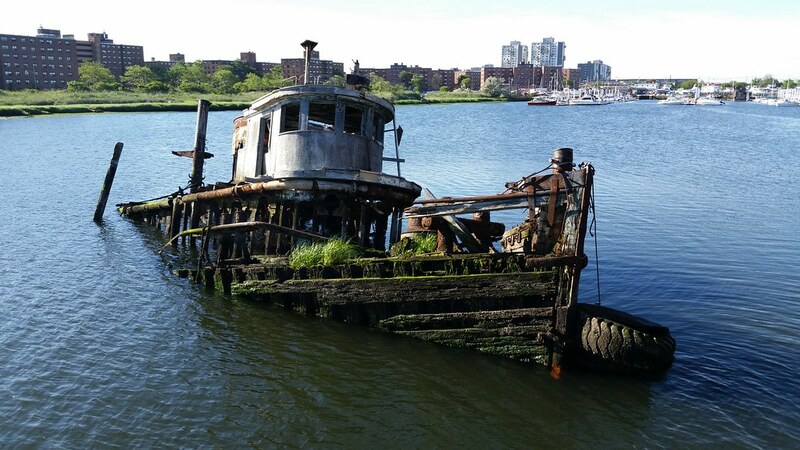 in Sommerville Basin. 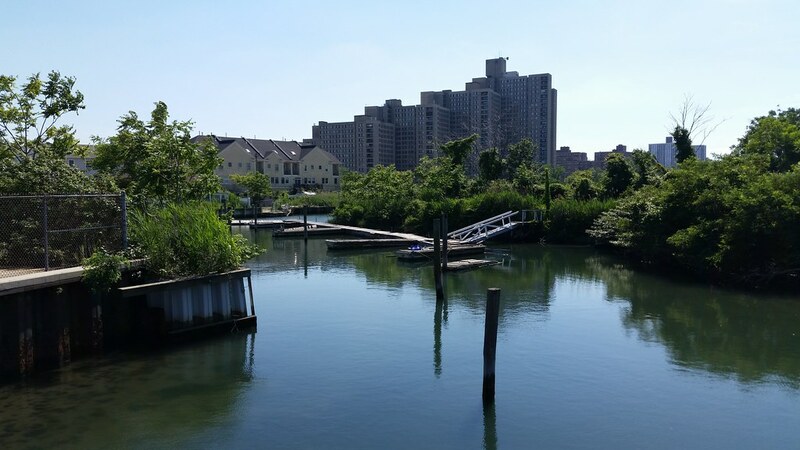 You can see the distinctive towers of Arverne View in the background. 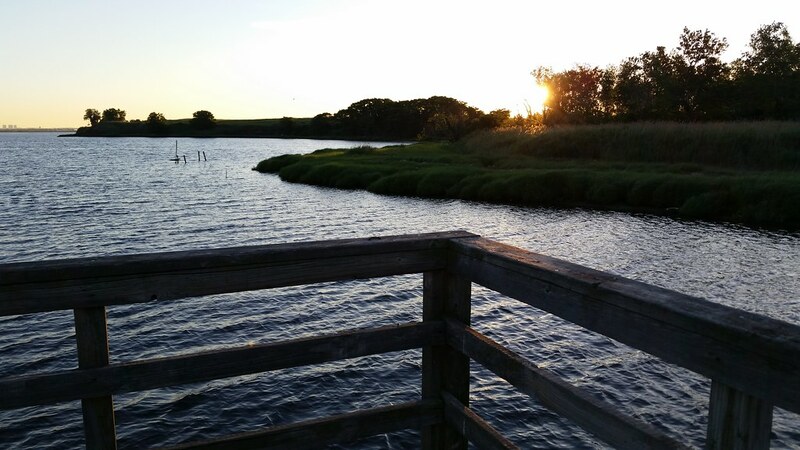 at this fishin' shack in Dubos Point Wildlife Sanctuary. Note the tiki torch leaning against the rear wall at left. 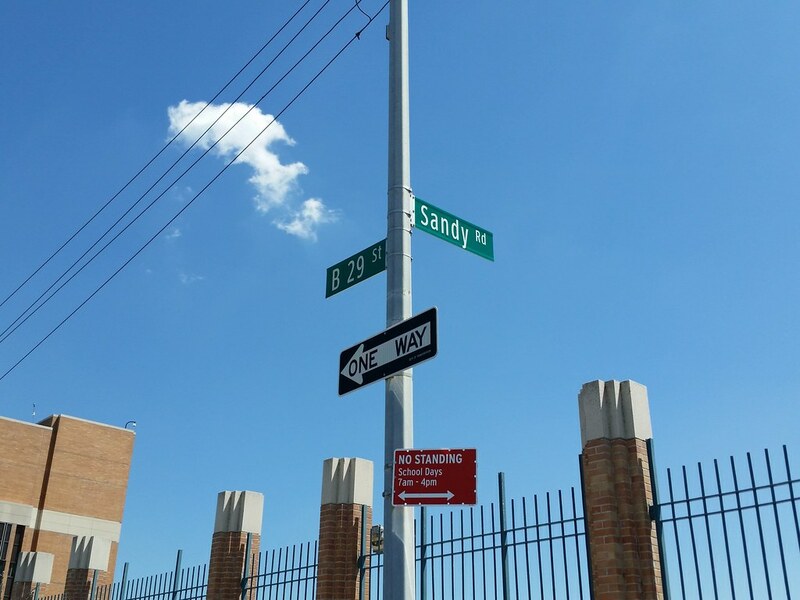 This innocuously named beachside street in the Rockaways now inadvertently memorializes a mortal enemy. 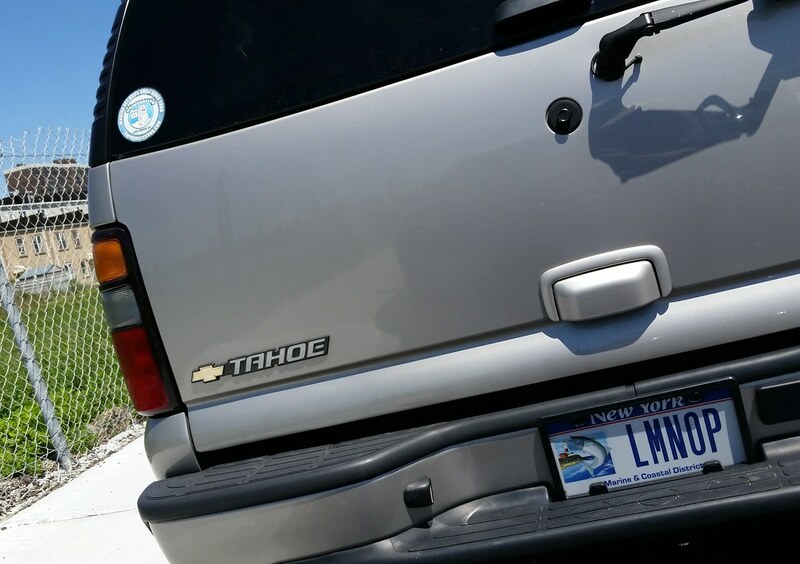 Thanks to this license plate, I just learned the name of a rock group from New Zealand whose "straight-arrow, energetic, power-pop anthems" made the band "household favourites across the nation". Pathetic. 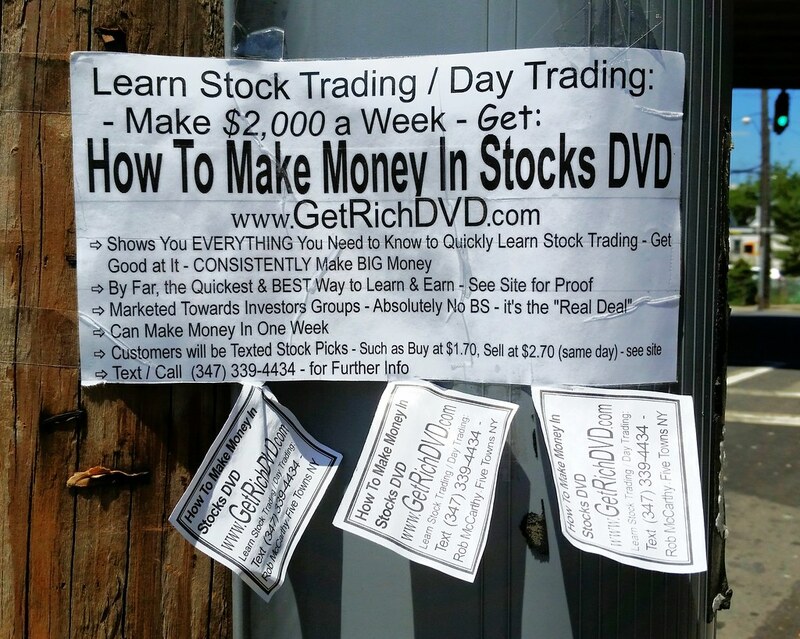 I can learn how to make $4,000 a week with this far superior DVD. 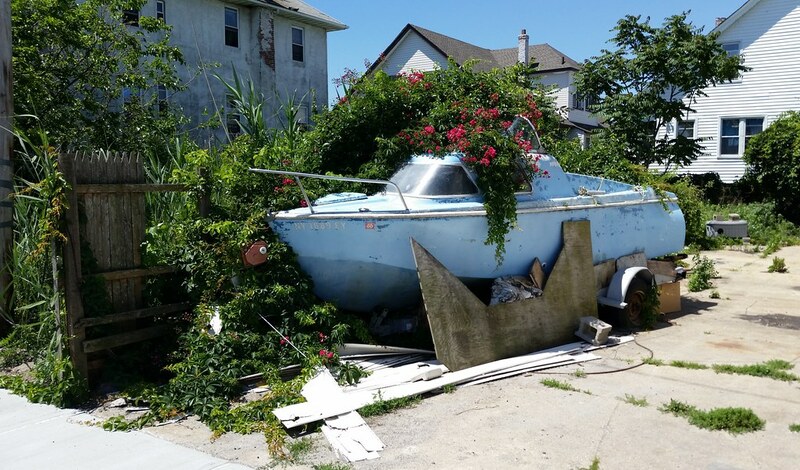 Of the more than 7,000 beach bungalows built on the Rockaway Peninsula in the early decades of the 20th century, fewer than 700 are still standing (photos). 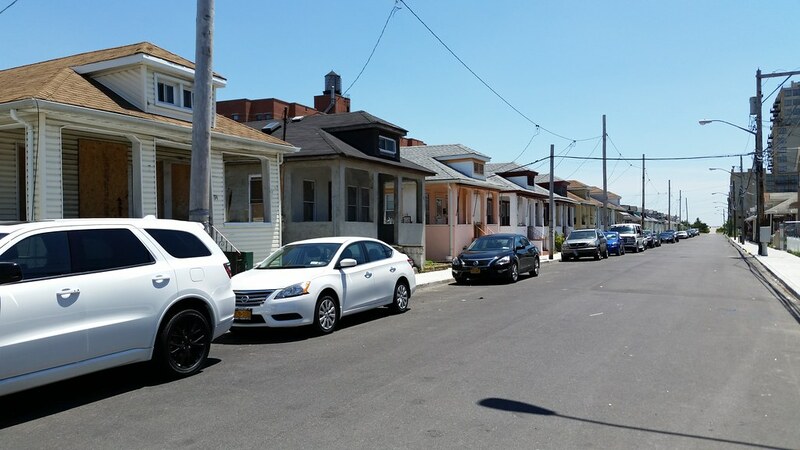 One of the largest remaining clusters is the Far Rockaway Beach Bungalow Historic District, which comprises about a hundred surviving bungalows on Beach 24th through Beach 26th Streets. 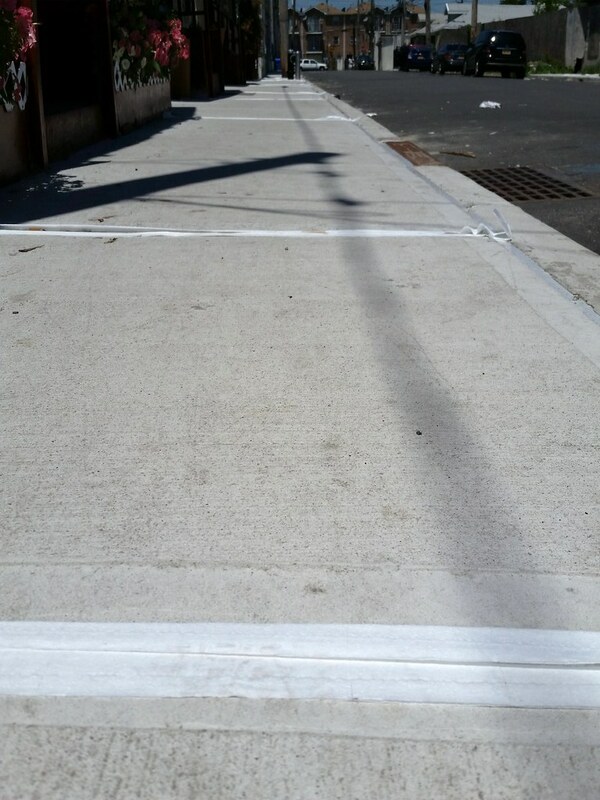 As we've seen, the Minnesota Method (covering newly applied pavement sealant with toilet paper while it cures) has started to take hold in NYC. 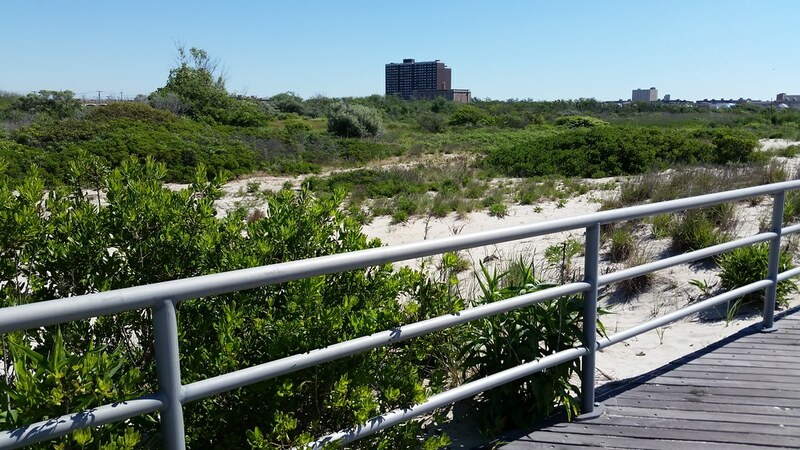 Towering over the neighboring Far Rockaway Beach Bungalow Historic District, this vacant 15-story, 126-unit beachfront apartment building — the Metroplex on the Atlantic — has led a troubled life. 2006: Construction was halted for months when the developers were sued by Richard George, the litigious head of the Beachside Bungalow Preservation Association, for building on top of an easement that ran down the middle of the block and provided residents of the block's interior bungalows with their own passageway toward the beach. Gary Rosen, a lawyer for the developers, told the NY Times that the delays were costing his client $3,000 per day and were threatening to bankrupt the project — "He's already cost my client more money than those bungalows are worth." Mr. Rosen said he was countersuing Mr. George and would "take all the bungalows if I win . . . Most of them are garbage anyway. They're shacks." 2007: State inspectors determined that the Metroplex was, in violation of a previous order, being erected within 100 feet of a coastal erosion hazard area. While dismantling a third-floor balcony that had been illegally constructed, a worker not wearing a safety harness fell 25 feet to the ground and "sustained internal injuries". 2010: The developers defaulted on their mortgage payments and the lender began foreclosure proceedings. 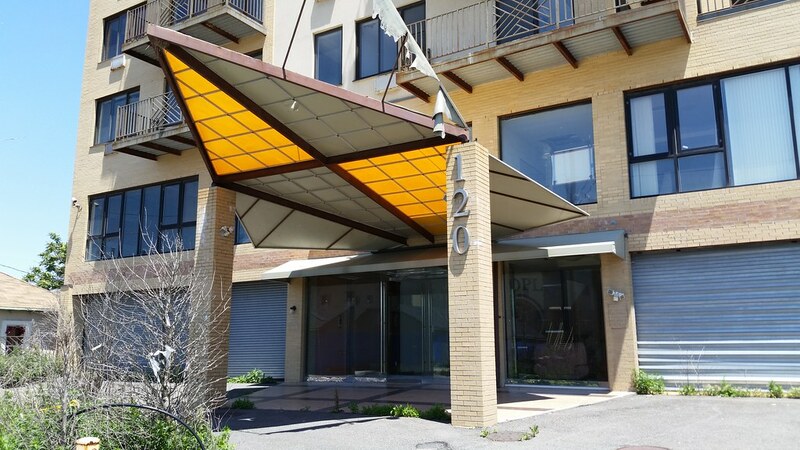 2014: The state attorney general sued the developers for "persistent fraudulent and illegal practices" — including a rent-to-buy scheme that concealed the building's perilous finances from the would-be homeowners. 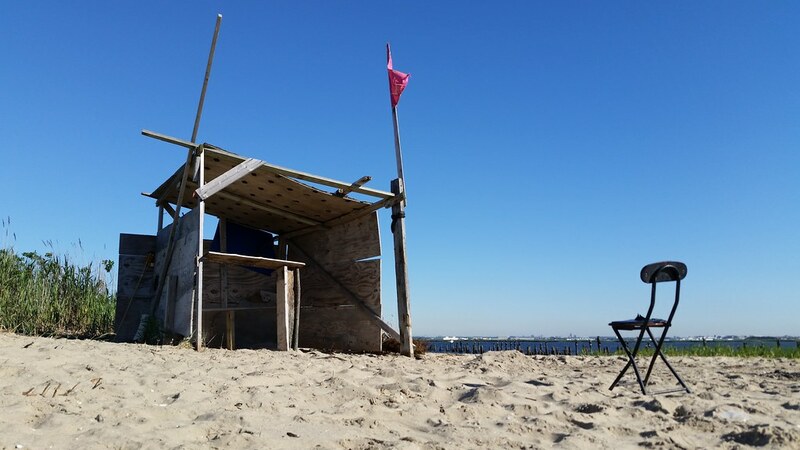 My favorite thing about Rockaway would have to be its centralized location. One of the reasons Ocean Blue has gotten so full so quickly is because it's so close to just about anything you want. You're close to Long Island and Manhattan, the Five Towns, JFK airport, St. Johns Hospital. 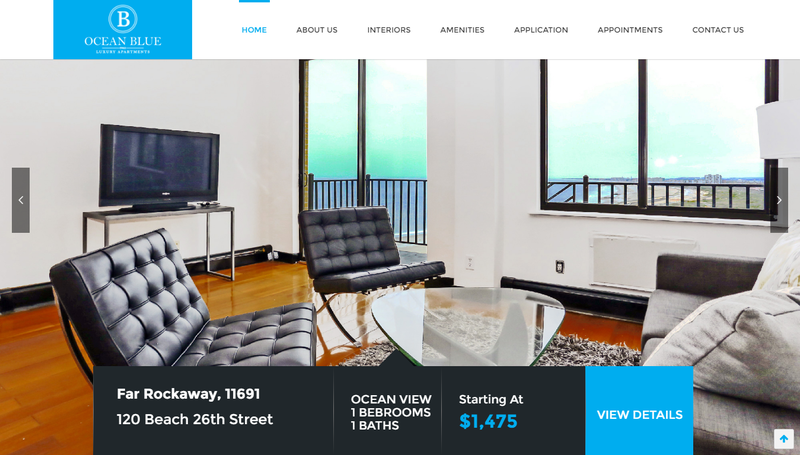 Ocean Blue (is) eight blocks from the Atlantic Beach Bridge, and so close to Manhattan you have a perfect view of the skyline from your terrace. "Its centralized location"? This building is about as un-central as it gets in NYC. 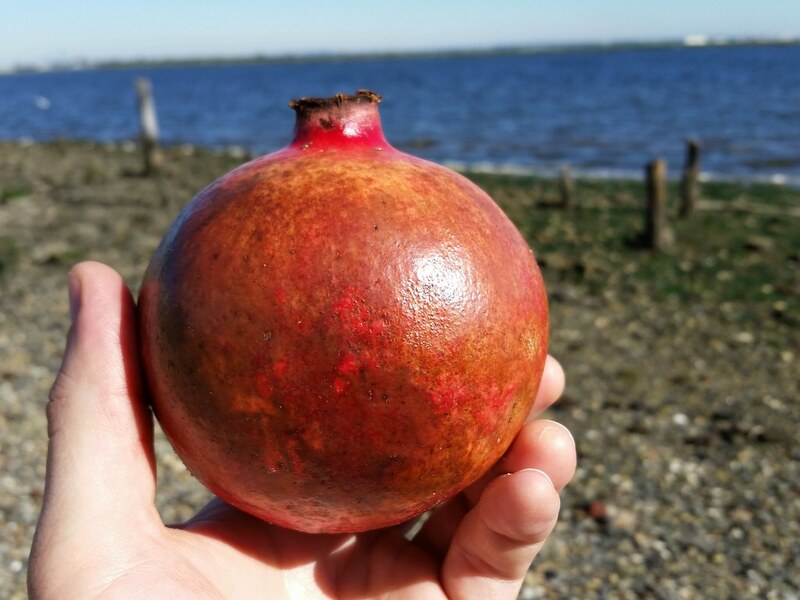 It's located in the southeastern corner of Queens, farther from Manhattan than anywhere else in the city outside of southern Staten Island. "Eight blocks from the Atlantic Beach Bridge"? 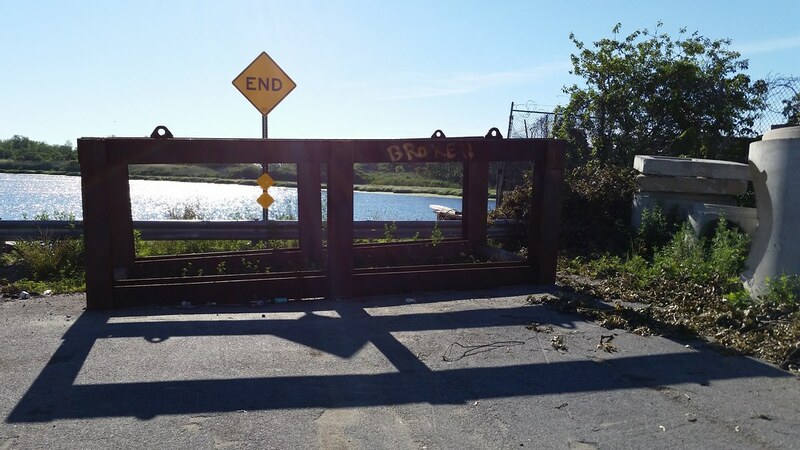 For one thing, being close to that bridge, located just over the city line in Nassau County, means that you're a long way from Manhattan. You can't be close to one without being far from the other. Additionally, the eight blocks assertion is simply untrue. Take a look at a map. The streets out here aren't on a regular grid, so measuring distances in terms of blocks is tricky and kind of pointless, but I'd say a reasonable estimate would have to be at least 15 blocks. Why even bother lying about this? 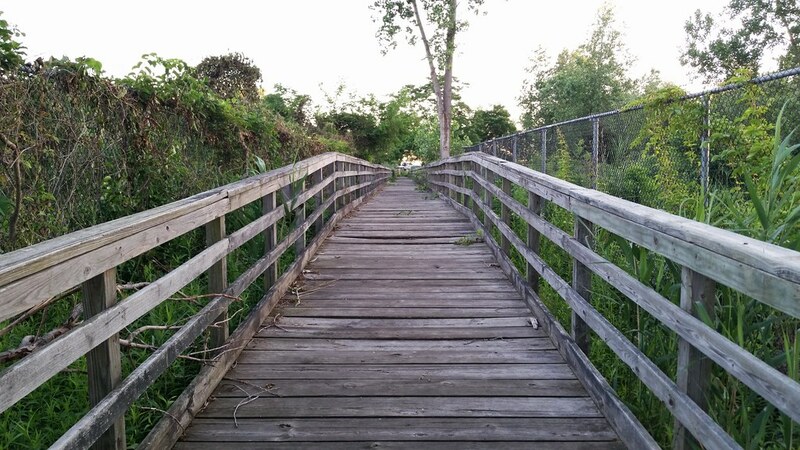 Is proximity to a bridge that leads from one beach to another beach such a big selling point? It wouldn't seem to be as important as, say, the distance to the closest subway station, which the building's website falsely claims is five blocks. (It's about ten in reality.) 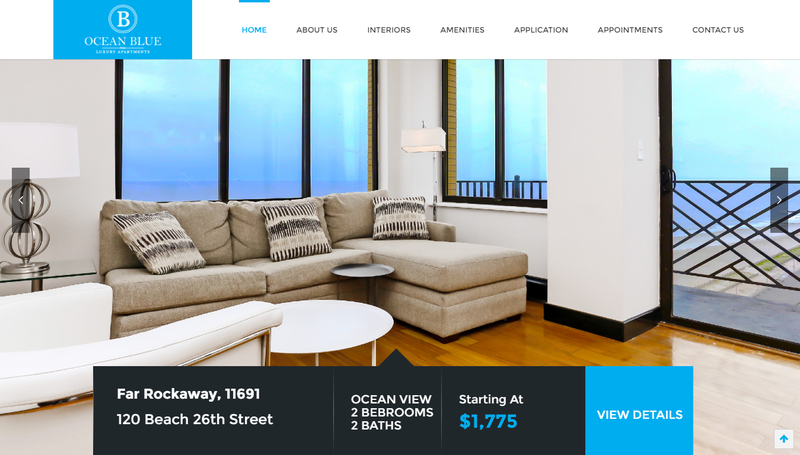 While we're on the subject of the building's website, I should note that the home page is currently advertising apartments with "1 BEBROOMS" and also ones with "2 BEBROOMS". "Perfect view of the skyline from your terrace"? First of all, that presumes that your apartment is at least a few floors up and has a terrace that looks out on Manhattan. And even if that is the case, I doubt you'll find your view of the skyline "perfect". Here's a photo of the view from the building's website. Can you spot the slightest hint of a Manhattan skyscraper? In person, the Lower Manhattan skyline, about 15 miles away, would be visible, though very distant, immediately to the left of the Seaview Towers, those twin dark-brick high-rise apartment buildings just right of center in the middle distance. The Midtown skyline, on the other hand, is obscured from view with almost comical precision by the Seaview Towers building on the right. Looking at the larger picture, however, I'd say the overall view from the upper floors of Ocean Blue is quite impressive, so why lie about features it doesn't have? "THAT THOSE WHO PERISHED SHALL NOT HAVE DIED IN VAIN"
So read the plaque that was formerly mounted on this monument, a war memorial erected by the local Jewish War Veterans post. I have no idea what happened to the plaque, but I do know that it was still in place less than three years ago. It's clearly visible in this Street View image from August 2012, and I'm fairly certain I can spot it from a distance in the center of this January 2013 image. 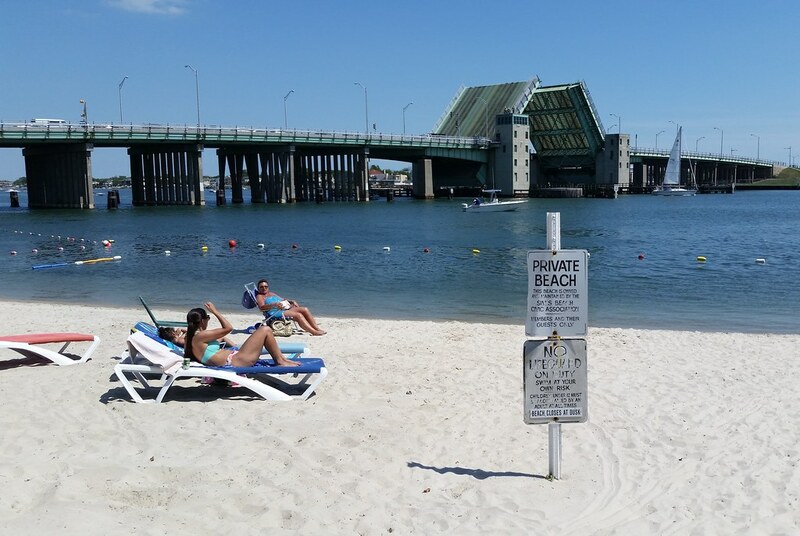 Standing in the background of this photo, on the Nassau County side of the border, is the Atlantic Beach Bridge, which opened to allow the sailboat at right to pass through. 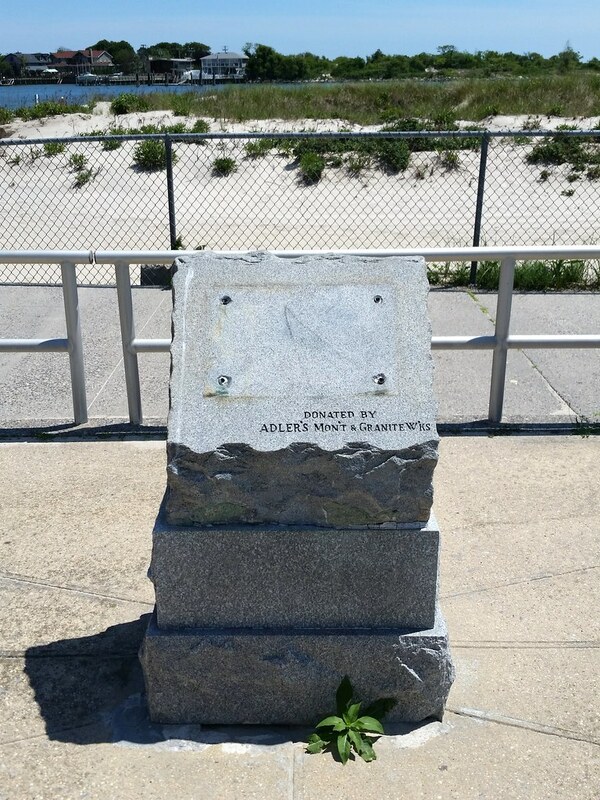 Completed in 1952, the bridge connects the Long Island mainland with the seaside village of Atlantic Beach. It's the only toll bridge, or toll facility of any kind, in Nassau and Suffolk counties (the non-NYC part of Long Island), and I believe it's one of only two toll facilities in the state that still have not installed an E-ZPass electronic collection system. 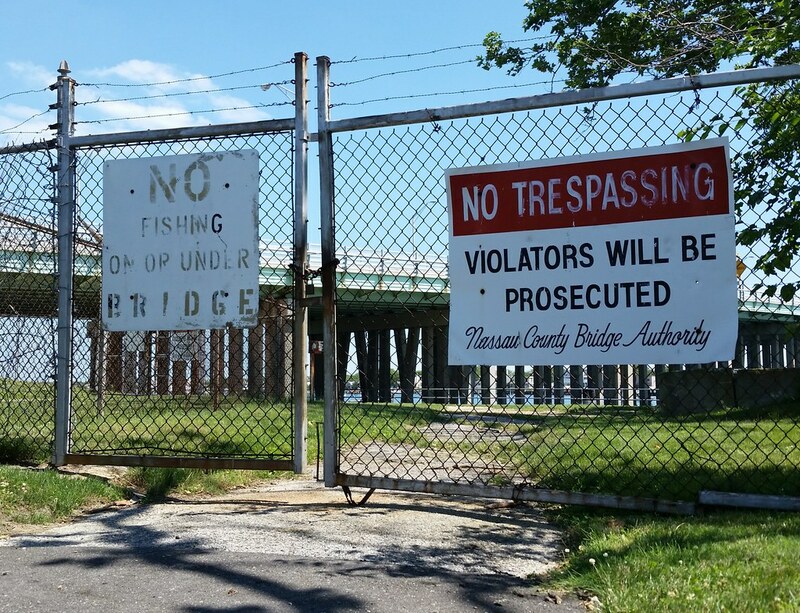 (The other, the Thousand Islands Bridge, is currently working toward implementing E-ZPass.) 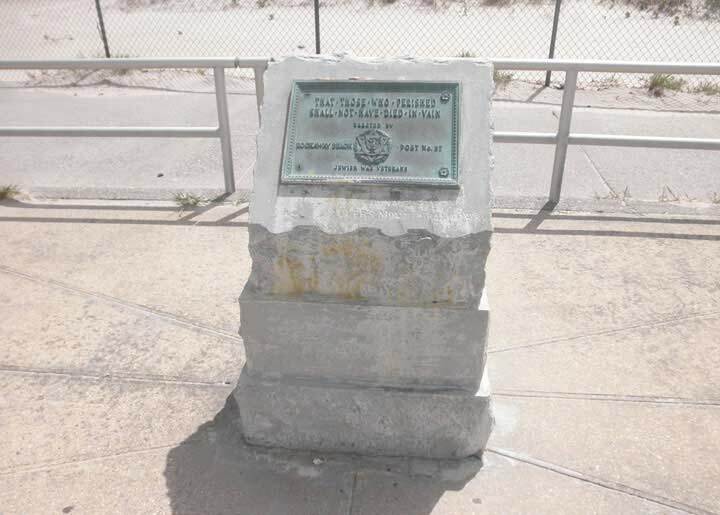 The toll on the Atlantic Beach Bridge is $2 for a car; up until 1997, bikers and pedestrians were also charged to cross the bridge. Their toll? 5 cents! The authority and the bridge toll were supposed to be eliminated once the bonds issued to fund construction of the bridge were paid off. And they have now been paid off — for more than 40 years. According to the former head of the Nassau County District Attorney's Special Investigations Bureau, the authority "only existed to make sure the money was paid back, but every time it was close to paying off its indebtedness, it would borrow more money". 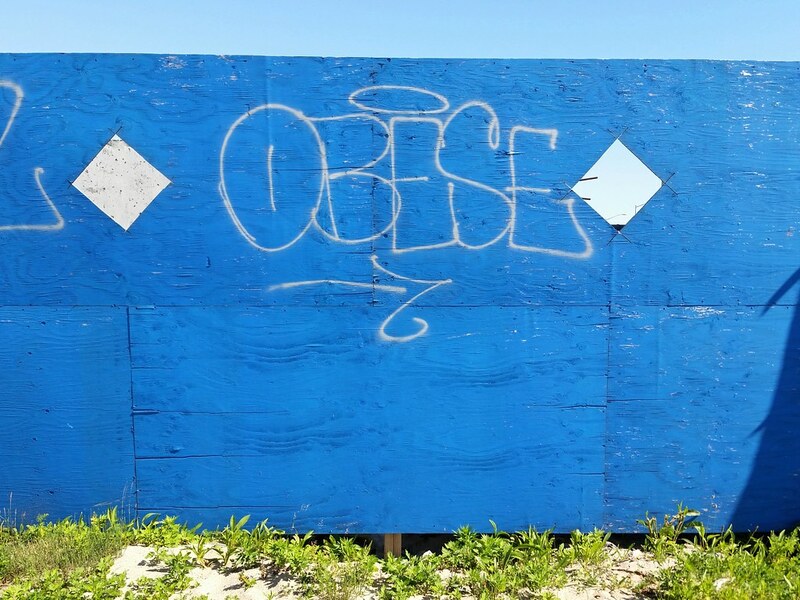 Some residents are said to make disparaging racial remarks about "those people" coming over the bridge. . . .
"We do not mind paying a reasonable toll," said Barry Ringelheim, president of the Atlantic Beach Estates Civic Association. "People feel it's a protection. God forbid somebody will come over to rob and have to go back over the bridge and be seen" by toll collectors. It's not entirely clear what information this old dinosaur is supposed to convey. 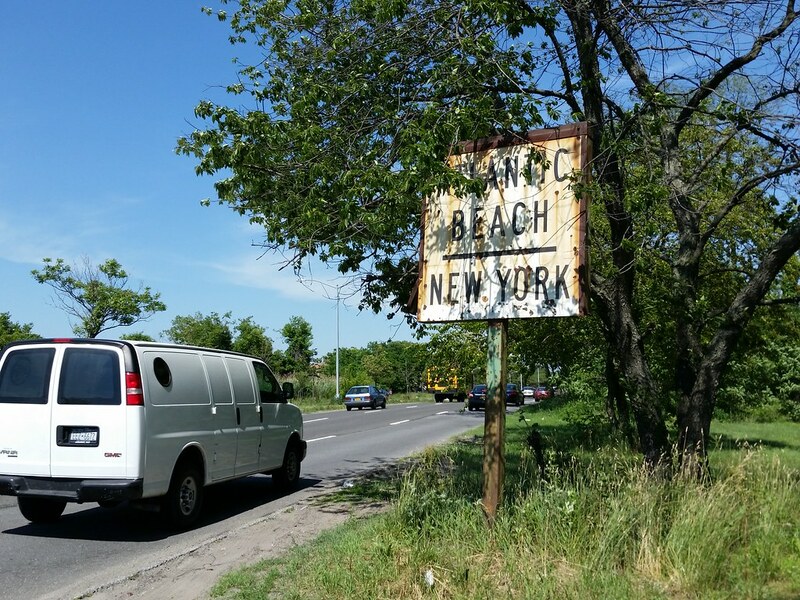 Located on Seagirt Boulevard in Queens, it can't be a You're-Entering-Atlantic-Beach sign. You still have to drive another quarter-mile before you leave NYC, and then it's another quarter mile beyond that to reach the bridge that leads to Atlantic Beach. Until relatively recently, there was another old sign of a similar size and structure located about 300 yards up the road. I don't know what it originally said; by 2010, there was a very faded wooden sign pointing the way to New York (meaning, presumably, Manhattan) that appeared to be nailed on top of the original sign. If you drive (or walk) by today, however, all you'll see remaining is a bent post that looks like it may have been hit by a car and decapitated. 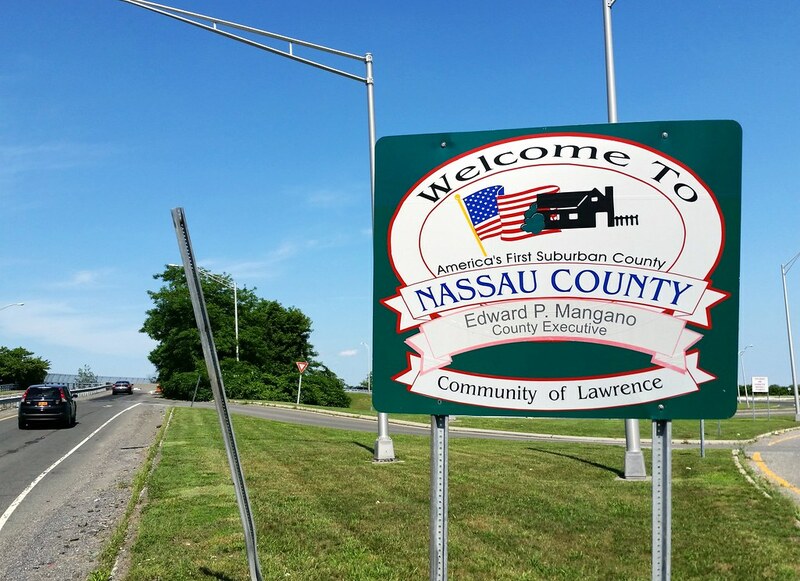 "Welcome to Nassau County, America's First Suburban County"
UPDATE (Oct. 20, 2016): In classic New York fashion, Edward P. Mangano, the Nassau County executive (the head of county government), has been indicted on multiple charges stemming from an alleged bribery and kickback scheme that stretches back to the beginning of his first term in 2010. While we're on the subject of counties, let's look at some fun statistics. Nassau's estimated population (as of July 2015) is about 1.36 million, making it the 28th most populous county in the US. Listed below are the ten most populous counties in the nation, along with some other NYC-area counties. For your reference, NYC consists of Bronx, Kings (Brookyn), New York (Manhattan), Queens, and Richmond (Staten Island) Counties. Suffolk County borders Nassau on the east and is the easternmost county on Long Island, occupying two thirds of the island, meaning it's twice the size of Nassau, Kings, and Queens Counties (which make up the rest of Long Island) combined. There are two counties other than Nassau that border NYC on land: Westchester County, north of the Bronx, and Hudson County, New Jersey, which shares an unusual border (map) with New York County on Ellis Island. Now let's look at the nation's most densely populated counties and county equivalents. Rising over the waters of Bridge Creek like a strong cell phone signal are the four interlocking towers of the former Roy Reuther Houses, now known as the Sand Castle, a 916-unit development built in the early 1970s by the United Auto Workers to house seniors. 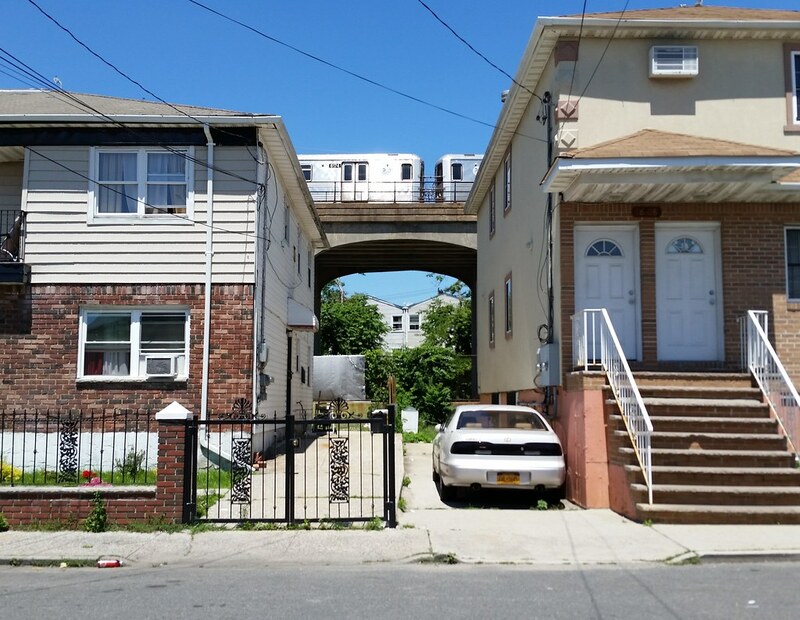 The complex still has a large number of elderly residents, many of whom were notoriously stranded in their upper-floor apartments without working elevators, heat, electricity, or water for nearly two weeks in the aftermath of Hurricane Sandy. You might assume that entering or leaving the largest city in the nation would always be an occasion worth noting, but local governments seem to think otherwise. 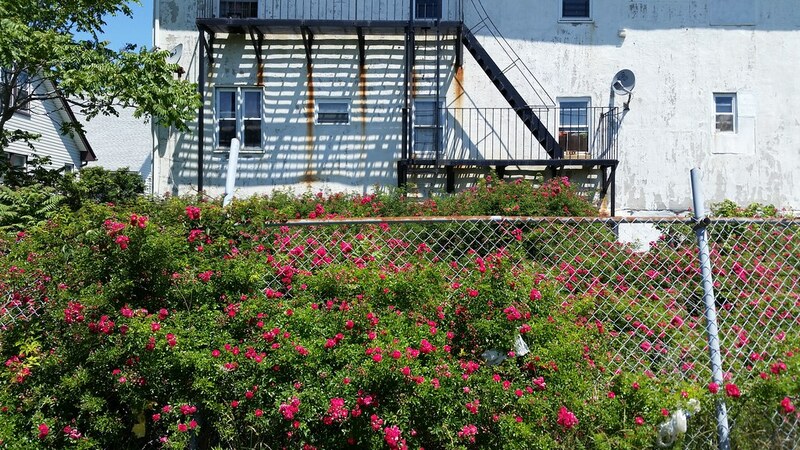 Excluding highways, there are well over 100 streets that cross the land boundaries dividing NYC from Nassau and Westchester Counties, and it's only on a small number of those streets that you'll find any kind of sign acknowledging the border. If you're on a major street, you might come across a "Welcome to" sign on the Nassau/Westchester side of the line, but the best you can hope for from NYC are signs telling you that it's illegal to turn right on red in the city and that the city speed limit is 25 MPH unless otherwise posted. It's only on the highways* that you'll encounter any explicit recognition of the fact that you're entering NYC, be it a typically formulaic "Welcome to" sign or an even more bare-bones affair simply stating the name of the borough you're crossing into. Brooklyn's "Welcome to" and "Leaving" signs actually have some character, but none of them are stationed at the city line, as you have to pass through Manhattan, Queens, or Staten Island to get to Brooklyn. Even though the city boundary goes unmentioned on most streets that cross it, you can generally detect some subtle indications that you've entered a new municipality. There may be a change in the way the houses are numbered. 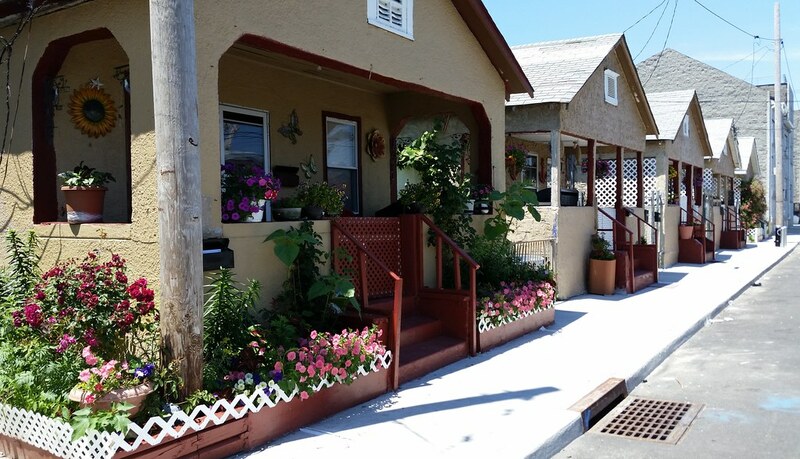 Or you might notice a difference in the appearance of fire hydrants, manhole covers, or other elements of the streetscape. Most reliably, you can usually spot different styles of street signs (and often parking and traffic signs as well) on either side of the border. 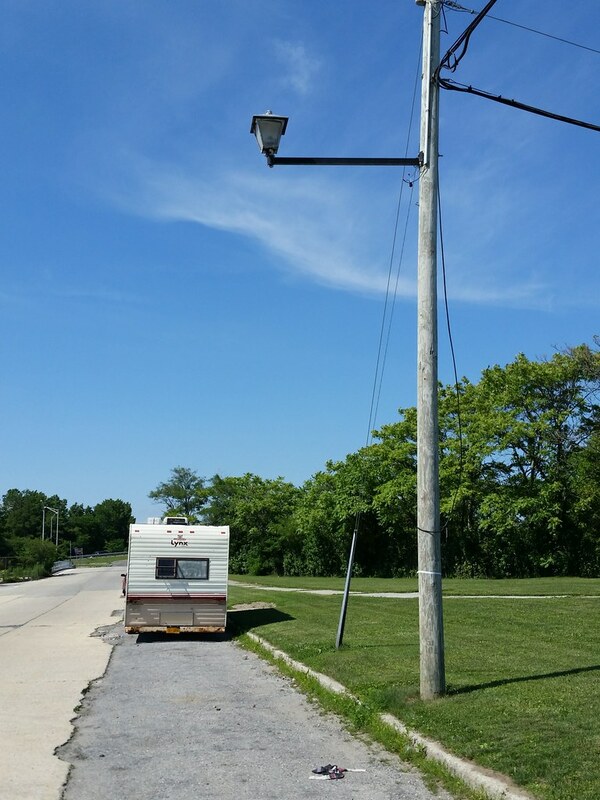 While the nearby street signs may be misleading, the photo above offers a convincing piece of evidence that we have in fact entered Nassau County: the street lamp, one of six such lamps installed here on Beach 2nd Street. You can find this style of lamp scattered around Nassau, from Port Washington to Westbury to elsewhere in Lawrence and beyond, but you'll never see it in NYC. 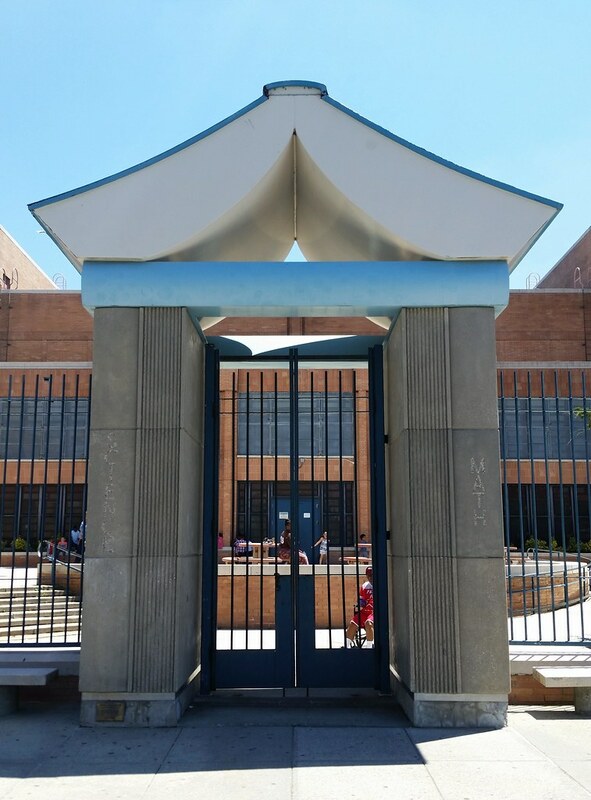 * One sort-of exception to the highways-only rule for NYC "Welcome to" signs: As you cross into Queens from North Valley Stream (Nassau County) on Elmont Road, you'll see a "Welcome to Rosedale" sign. But you would have to know Rosedale is an NYC neighborhood to know you were entering NYC. And the sign was not put up by the city government, but by the Rosedale Civic Association. Day 185: Looks like new!